Samsung Electronics will supply Linux-powered mobile phones to Vodafone, the world's largest wireless carrier, company officials said Friday. The Vodafone 360 H1, a ``smart'' phone that enables Web browsing and multimedia features atop of voice, is the industry's first commercial handset using the latest version of the LiMo operating system, Release 2. 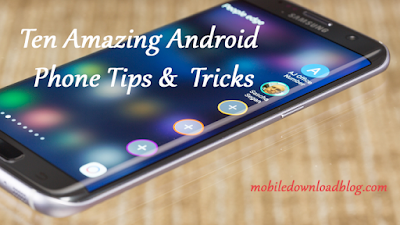 The new Samsung handset is obviously a high-profile release, as it will be used by Vodafone to launch its much-hyped Internet service, Vodafone 360, which intends to exploit the growing popularity of social networking services on portable devices. The Vodafone 360 H1 packs the latest of Samsung's handset innovations, including a 3.5-inch active-matrix organic LED (AMOLED) touch screen, 5-megapixel camera, 16-gigabyte on-board memory, global positioning system (GPS) capabilities, Wi-Fi and HSDPA (high speed downlink package access). By combining Samsung's hardware with Vodafone 360's online services, which include social networking address books, mapping services, games, music and applications downloads, Vodafone is looking to steal the buzz from more popular offerings such as Apple's iPhone and Research In Motion (RIM)'s Blackberry. 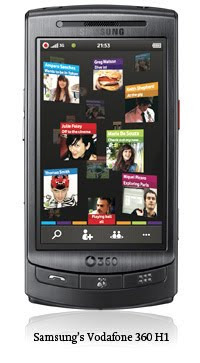 Designed to allow users to bring together all their social networking and other Internet accounts, Vodafone 360 automatically syncs phones with personal computers and provides aces to Facebook, Windows Live Messenger and Google Talk. After having Vodafone 360 up and going, the London-based carrier is planning to provide the online services to phones used in other networks, including the iPhone, the planet's hottest gadget at the moment. Samsung is planning to unveil another handset optimized for Vodafone 360, the Vodafone 360 M1, soon. ``As one of the founding members of the LiMo foundation, we are proud to present a Samsung mobile phone based on the latest platform of the LiMo operating system,'' Shin Jong-kyun, an Samsung executive vice president and head of the company's mobile communications division, said in a released statement. LiMo, backed by a large group of global handset vendors and software makers, is a platform based on open-source Linux software, which can be used on mobile phones for free. The technology is competing with other mobile operating systems, such as the Google-backed Android and Nokia's Symbian OS, for designs into the next generation of smart phones and other data-enabled portable devices. Other mobile telephony operators considering to market LiMo-based handsets include South Korea's SK Telecom, Japan's NTT DoCoMo and other major carriers such as Orange, Telefonica and Verizon Wireless. Handset vendors putting a foot into the LiMo camp include Samsung, LG Electronics, NEC, Panasonic and Huawei.